Many new tools, like online marketing methods, have become more popular among the sales people when it comes to maximizing The Global Associates Sales Lead Generation In India. Most age-old tools like cold calling are considered toothless and virtually irrelevant to have in your arsenal when you strive to boost sales lead generation India effectively. This certainly is not justified, cold calling can still be made more effective for generating quality leads in good numbers, it’s not archaic by any means. Cold calling has always been a potent tool for boosting sales lead generation in India as it gives an opportunity to be in direct contact with the decision makers. No doubt, most sales people dread the job as they have the difficult task of convincing complete strangers about buying their products or services; yet, the tool has always brought desired results with perseverance and tact. One needs to make it more effective in today’s changed business scenario though. Following are some useful tips to achieve this objective. You mostly encounter complete strangers when you make cold calls, you stand little chance unless you make them feel comfortable and friendly. Sounding warm and natural is essential in order to begin on a positive note. Never sound over animated or dull, scripted or unprepared; you will turn them off by doing so. The present day decision makers are extremely busy, they have their own priorities. Value their time and privacy if you want them to hear you to the end. Keep it short and to the point, there’s no need to give a detailed introduction. Just stating your name and company’s name is enough before you tell them what you can do to help them solve their problems. Never call unprepared. Research their needs and pain points and present yourself as a problem solver, not as a sales person. 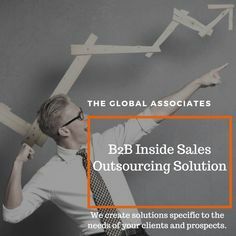 You can make cold calling more effective and successfully boost sales lead generation in India by convincing them that you have a solution to cure their ills.